A wood carver uses a power carving tool to carve wood. These search results emphasize American manufacturers, service providers, and information sources. 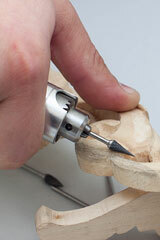 Use the search box on this page to find information about power carving and related topics.